New neuroscience research explains how making change can be easier and effective. . . with the right powerful strategies. 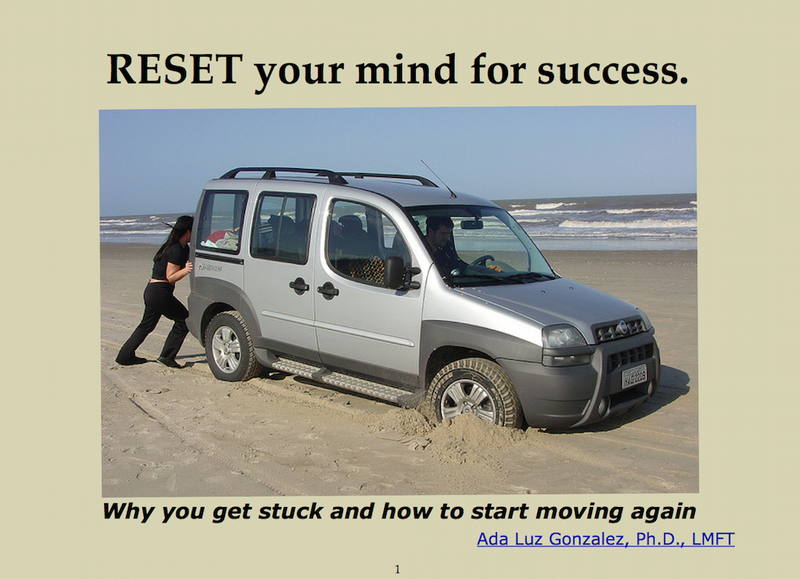 Here is your free booklet: RESET your mind for success: Why you get stuck and how to start moving again. Now that you know why you get stuck and have seen how you can get unstuck, I want to invite you to a very special 1 Day Intensive to RESET your brain for success. Transform the way you think and act with 5 easy strategies. Develop a new mindset that will propel you forward. Do you want to move forward to your next level of success? Learn to transform your mindset by learning 5 easy life-changing strategies. Learn more and Register by clicking the button below.